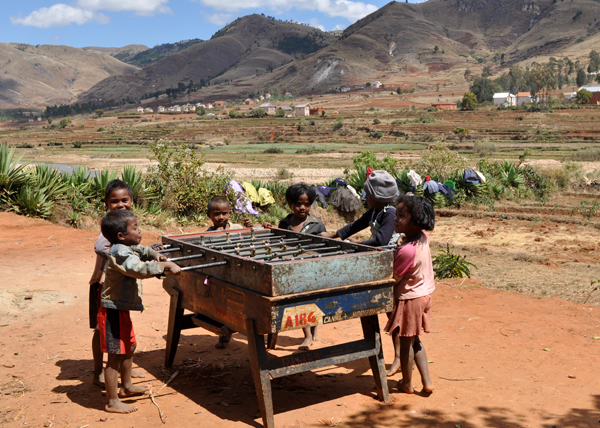 This summer our trip to Madagascar was very unusual. 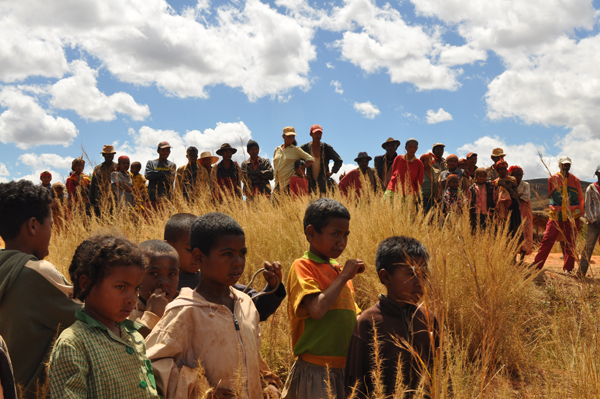 Because of the 20th anniversary of the Spirifer Geological Society and the 10th anniversary of our exploratrion of Madagascar Tom organised a trip around this beautiful island. 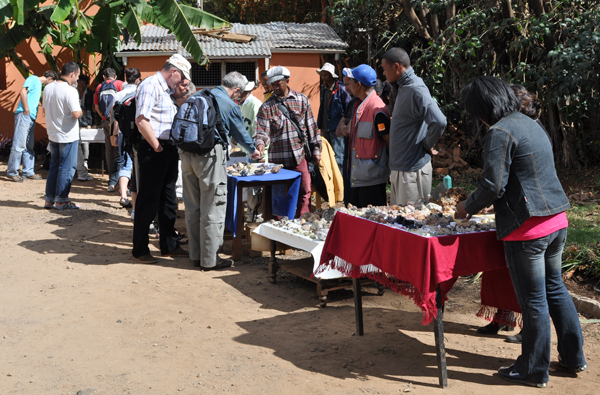 All the friends of our society as well as mineral collectors from all over thecountry were invited to go. 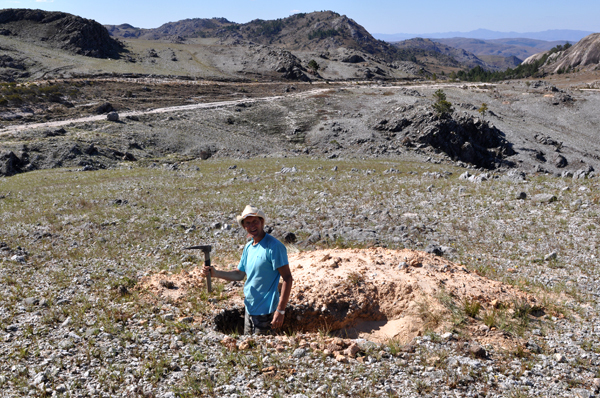 Finally the group consisted of 22 people, some of them were students, some geologists,some mineral collectors and the rest were just `normal people`. 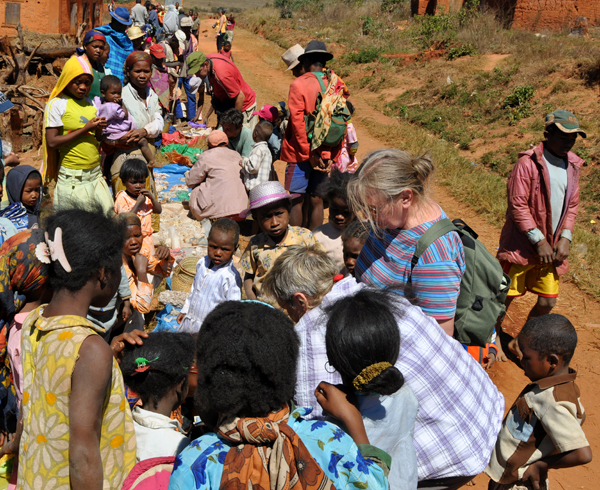 It is really not easy to organise a trip to the country like Madagascar especially for such a big group, for that reason we went there to prepare everthing two weeks before the arrival of the group. After that we visited Sahatany Valley, where a group of 22 vasa (white people) was an extremely unusual event for the local inhabitants! (actually it was quite a big event everywhere we came). In Sahatany we saw a few pegmatites - Tsarafara, Antanaty ny Ilapa, Antokambohitra. 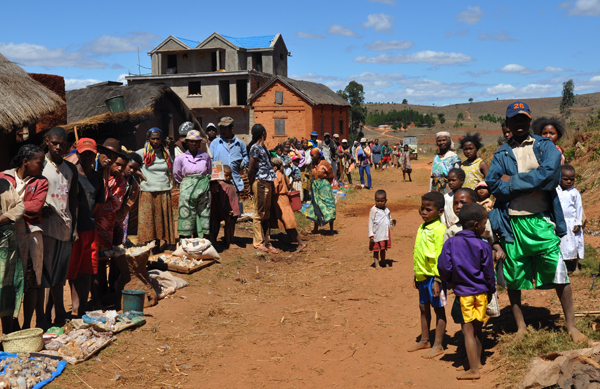 From Antsirabe we started our trip to the south. 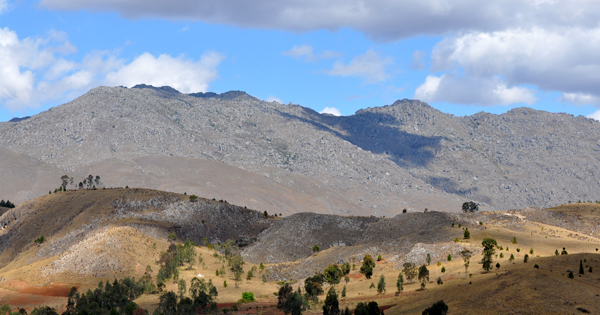 We drove the RN7 - (the best road on Madagascar and one of the few driveable with the bus) turning to Ambato. 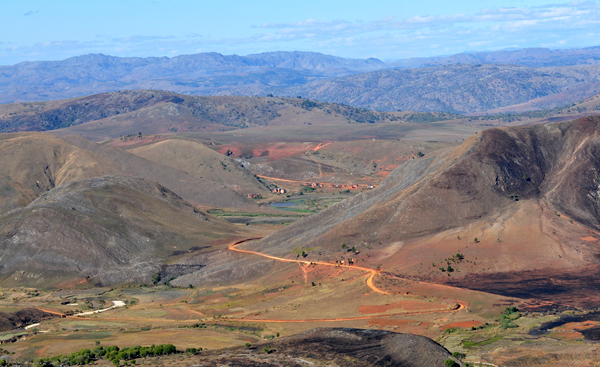 The next they we went to Itremo - a village famous of quartz cristals. To get there we had to rent 4 jeeps as the road that leads there is not very good... Poeple of Itremo also organised for us a little mineral market, of course they did it because we asked them for that one week before the group came, when we were done with shopping there we moved to the next village known for the weird quartzs (quartz with water and hollandite inclusions, pineapple and many more). 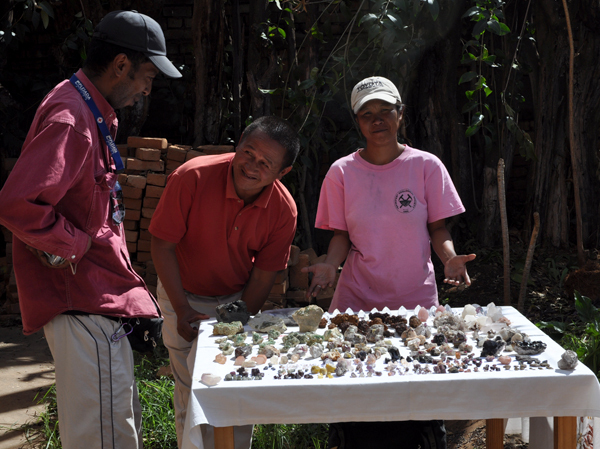 The dwellers of those tiny village did their best and welcomed us with incredibly well prepared `mineral show`. 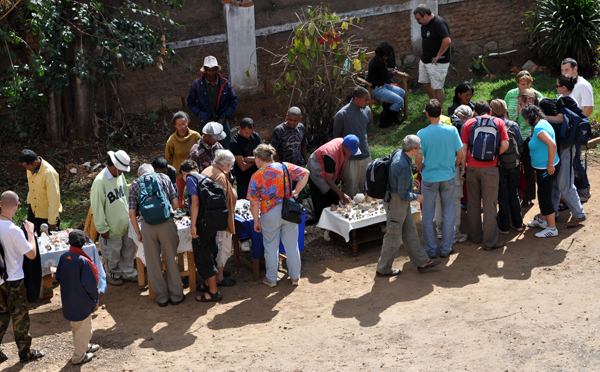 Unfortunately 99% of the "specimens" were just rubbish, but we were really amazed how much work those people put into the preparation - for this reson we had to buy something from them. 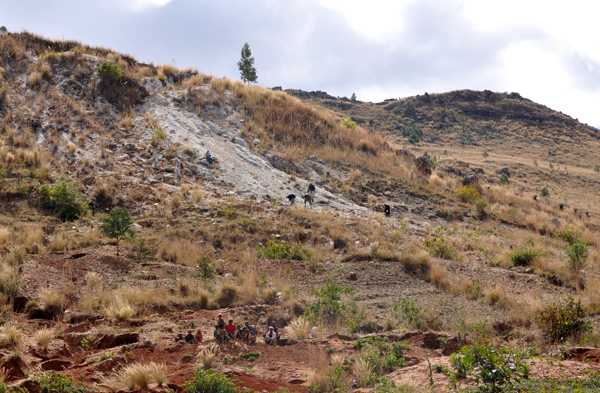 Later we went to eat our lunch high in the Itremo Massive, where we could look for quartz on our own (it is everywhere). 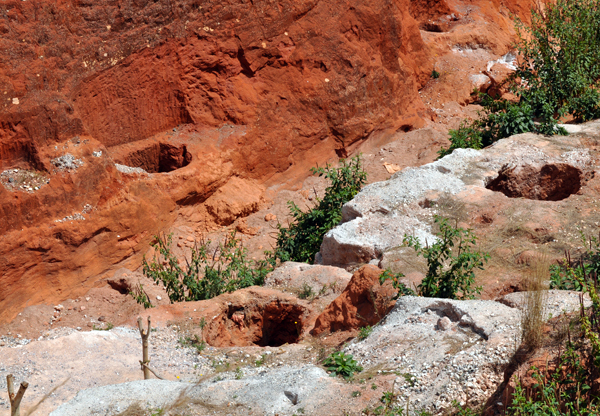 Itremo Massive is built by metamorphic rocks cutted by houndreds of quartz veins which abound in quartz cristals. 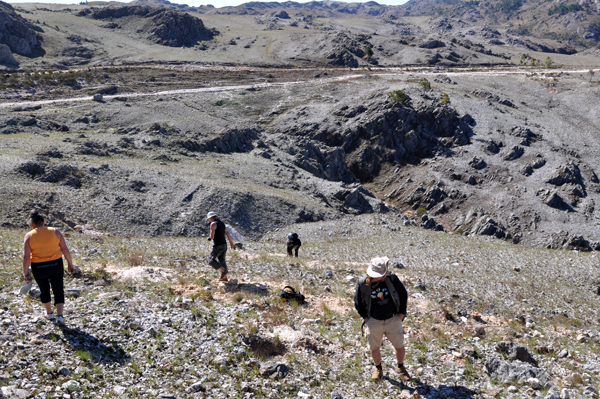 The next day we visited Ambalamahatsara - famous pegmatite field. To get there we had to built a bridge on our own. 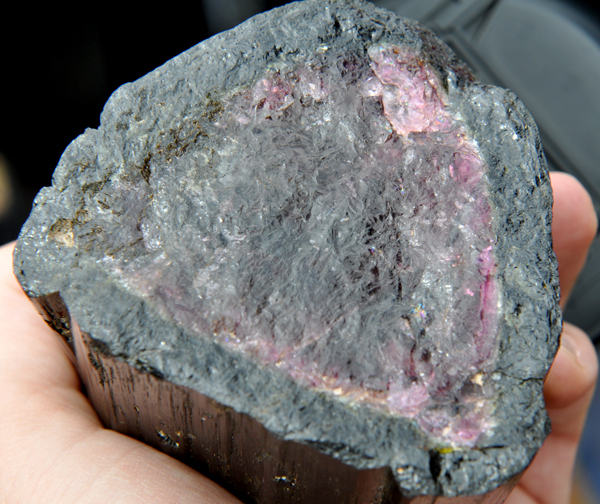 This pegmatite very well known for historical reasons and it`s famous for beryls, colorful tourmalines and rhodizites. From ambato we returned to the RN7 and we were heading south again. On the way we visited Ranomafana National Park with the rain forest, Isalo National Park with a sandstones and conglomerates which are a part of intercontinental Karoo formation - continntal, Gondwana deposits (in Isalo formed as outlayers with very spectacular crossbedding), Anja Park with Katta lemurs, Ilakaka - from where one of the biggest ammounts of the high quality gem sapphire come .Unfortunately these sapphires come form aluvial deposits and for that reason are formed as pebbles and are not interesting for collectros. 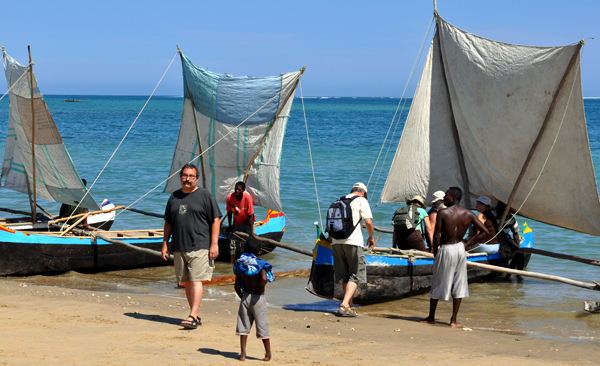 Finally we arrived to Sarondrano - a fishermans` village where we had some rest, swam on the reef, ate great sea fruit and drank some rum. It was not easy to get there, we had to use pirogues because the rodad is not diveable with the bus). 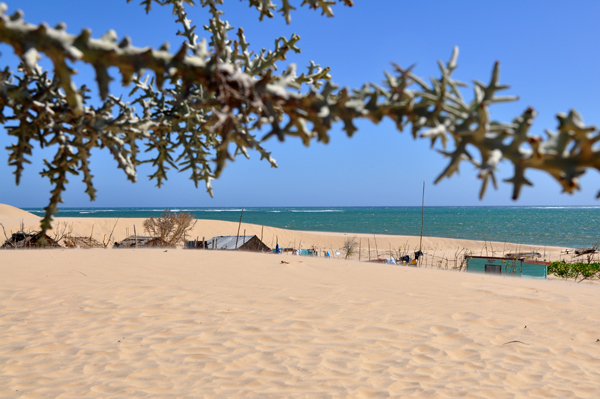 After two days of relax we flew to Morondava, as we were planning to go to Tsingi (incredible pinnacles of karstic origin). On the way there we saw the Avenue of Baobabs. After two weeks half of our group left us. We flow with the rest to Diego Suarez - Nort of Madagascar.In this area we visited the National Park Montagne d`Ambre that is situated on the inactive volcanoes, Ankarana National Park with tsingi (simillar to those that we saw earlier) and The Red Tsingy - a very interesting erosional forms of red laterite and white sands pinnacles shaped by the rain water, they look completely different then the limestones tsingy. We saw also one more awsome thing - the holy lake. People living by this lake belive that a long time ago there was a village but the people living here once did not give a water to the thirsty women that was asking them for it. For this reason they were all chenged into crocodiles. Because of this legend local people make a big party once a month, they kill a zebu and feed the crocodiles that as they believe were once people. 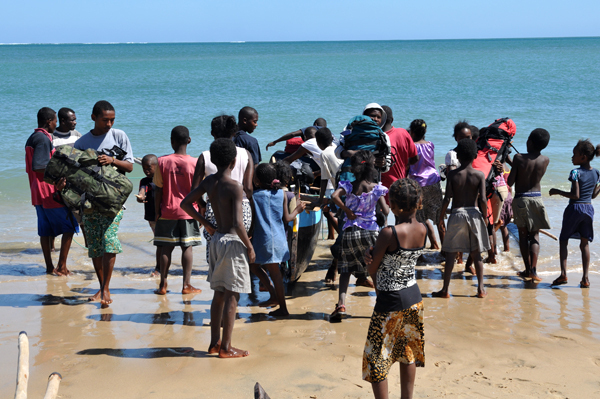 When we arrived there with the aim to see the crocodiles some people that were coming back from the market stopped and proposed that they would sing and dance what should make the crocodiles come. After a while it happend exactly as they said. The animals accustomed to the fact that singing and dancing = zebu for them came. 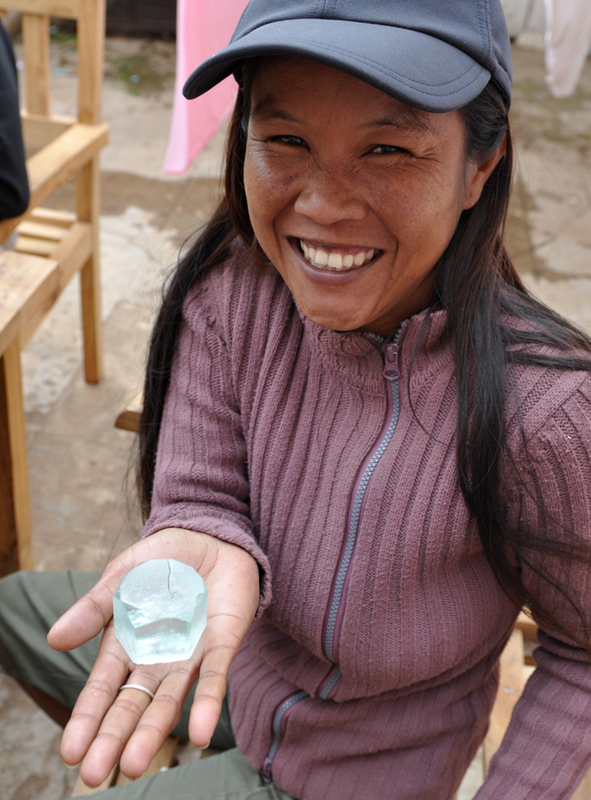 On our way to Ankarana we visited also Ambondromifehy - a locality for sapphires cristals, The sapphires there are rather of low quality, they are small, but very often they have nice inclusions. 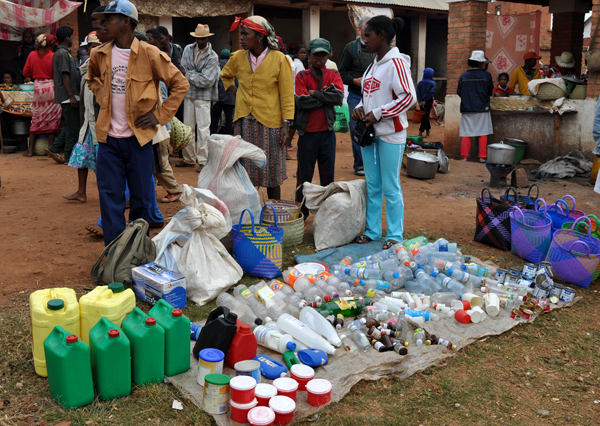 Ambondromifehy looked like an abandoned village whene we arrived there, normally people were selling everywhere, now we saw noly two or three `shops`. 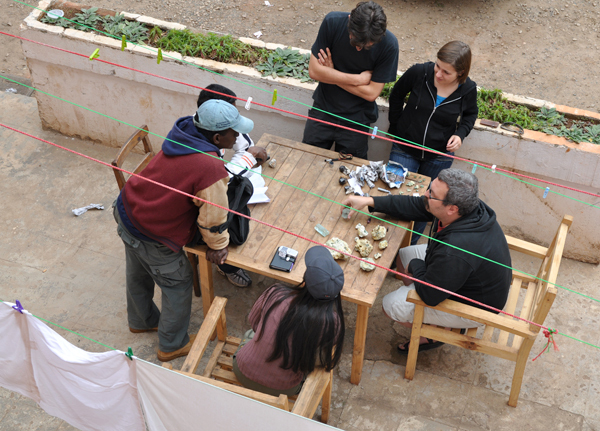 Almost all of the residents left that place and moved to look for demantoides. 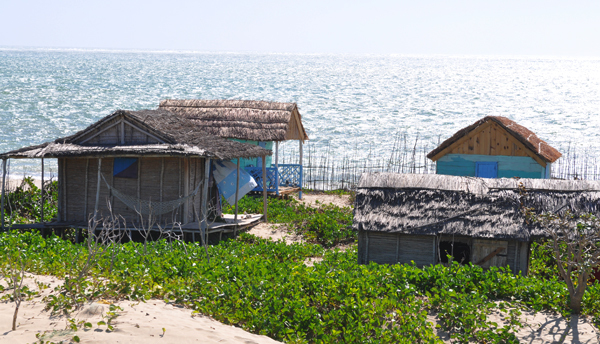 Finally we landed on Nosy Komba - it is near Nosy Be (the most turistic palce on Madagascar) and what is more interesting it is also near Antetezambato - the new demantoides locality. We spend some time swimming on the reef and resting. 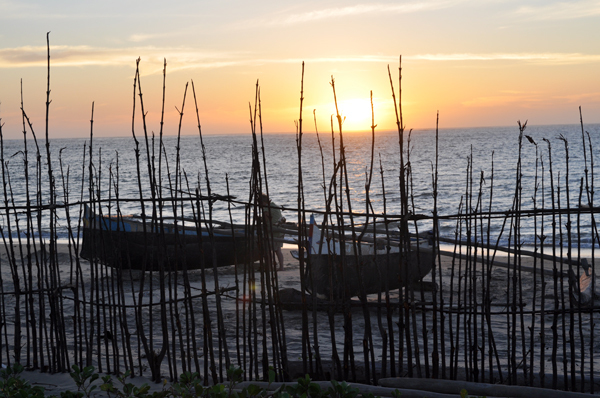 On the last day of our stay, we made a boat trip to Antetezambato. It took us about an hour to get there. 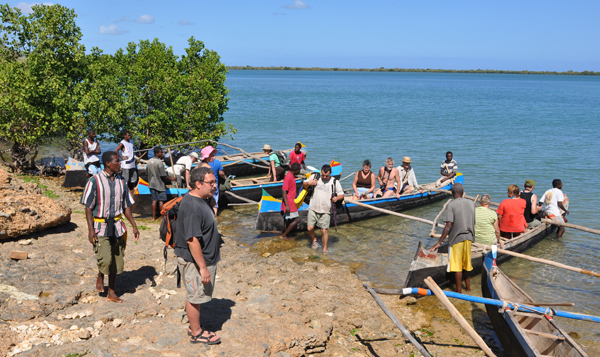 Most of the time we were sailing through mangrove canals. 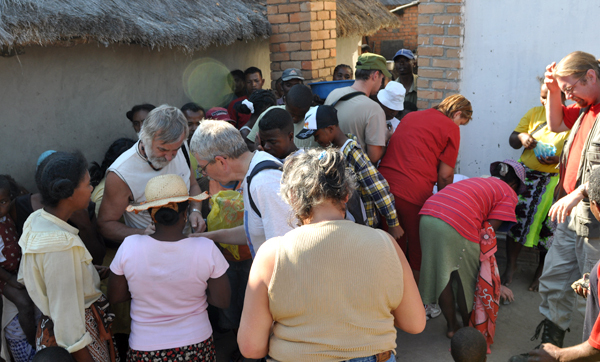 Antetezambato turned out to be a very big village (before the demantoids find there were only 4-5 houses). 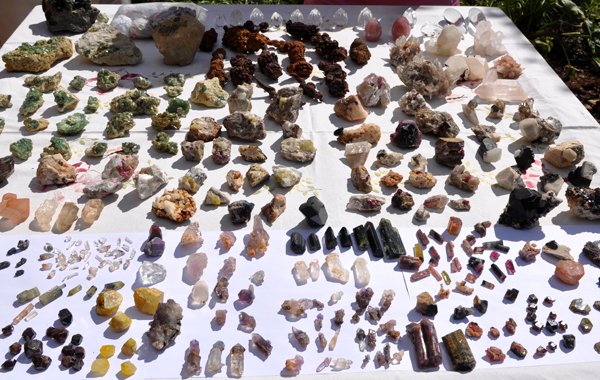 We bought some nice specimens and had a look at the quarry. I must say it is the most incredible quarry I have ever seen - houndreds of miners dig 0-20 meters deep holes in the mud in mangroves, that are flooded after every high tide... but I am not going to write about it because To is now preparing a short note about Antetezambato and demantoids that will shortly appear on our site. Unfortunately I had to fly home the next day...Tom stayed two weeks longer as he carries out some project for the Univercity of Warsaw and he had to do some reaserch on south Madagascar. 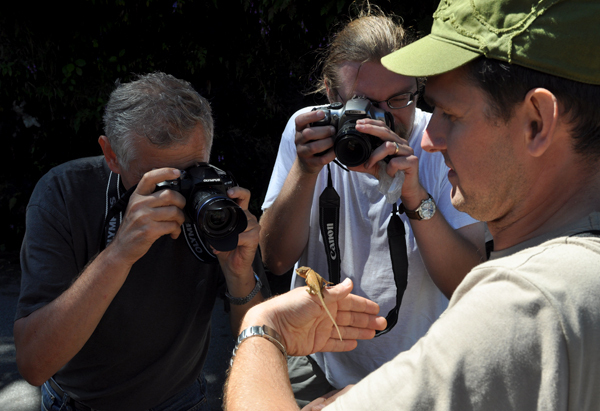 We both hope to be back on Madagascar as soon as possible. 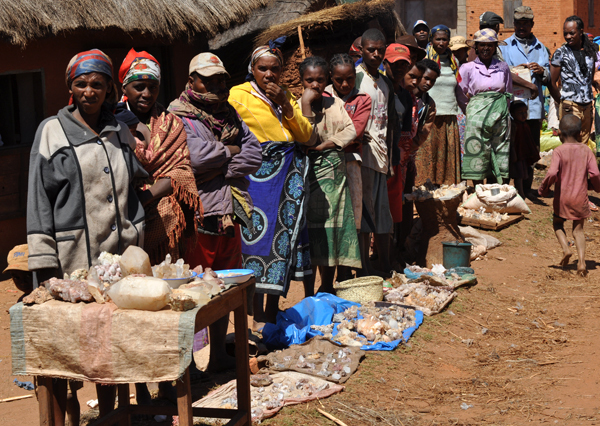 Buying minerals, Antsirabe. Fot. J. Gajowniczek. Our friend - Noro and a beryl from Befotaka. Fot. J. Gajowniczek. Beryls from Befotaka. Fot. J. Gajowniczek. 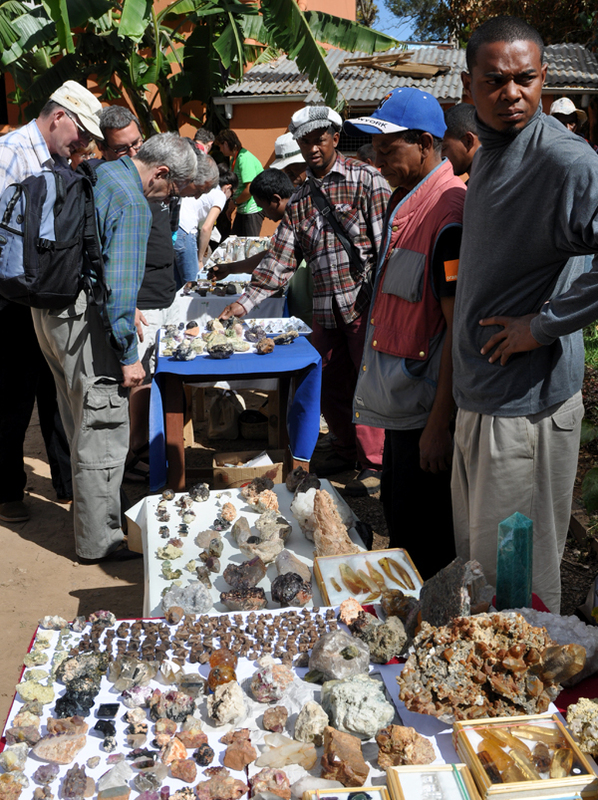 "Mineral show" in Antsirabe. Fot. J. Gajowniczek. 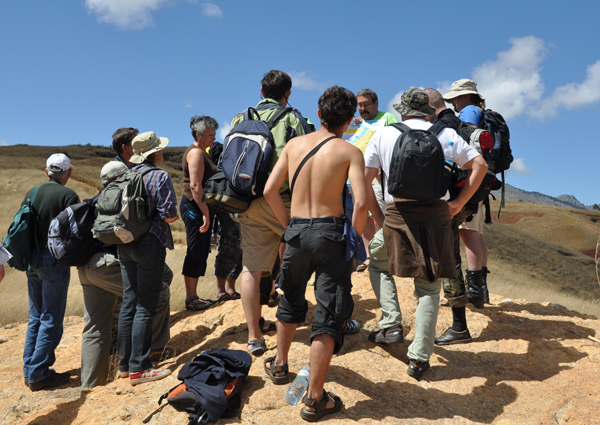 Tomek telling about geology of the region, Sahatany Valley. Fot. J. Gajowniczek. Children in Sahatany Valley. Fot. J. Gajowniczek. Pegmatite Antanaty ny Ilapa, Sahatany Valley. Fot. J. Gajowniczek. Pegmatite Tsarafara, Sahatany Valley. Fot. J. Gajowniczek. 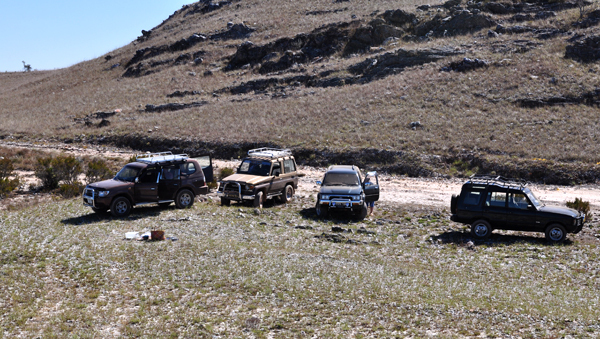 The whole vllage came to have a look at us, near Tsarafara Pegmatite, Sahatany Valley. Fot. J. Gajowniczek. 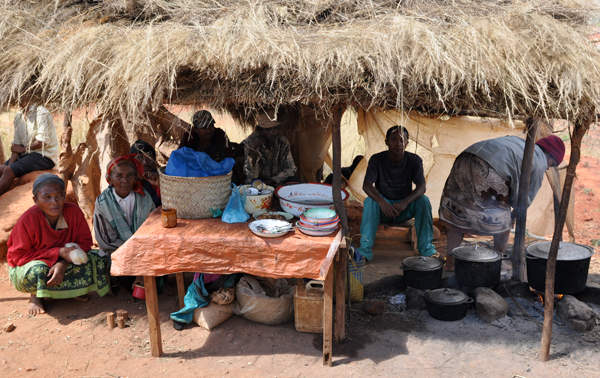 "Restaurant" near Tsarafara pegmatite, Sahatany Valley. Fot. J. Gajowniczek. Taking pictures in Sahatany Valley, everybody wanted to be photographed. Fot. J. Gajowniczek. Ibity mountain, viev from the Sahatany Valley. Fot. J. Gajowniczek. Market in Ibity. Fot. J. Gajowniczek. Ibity Market. Fot. J. Gajowniczek. 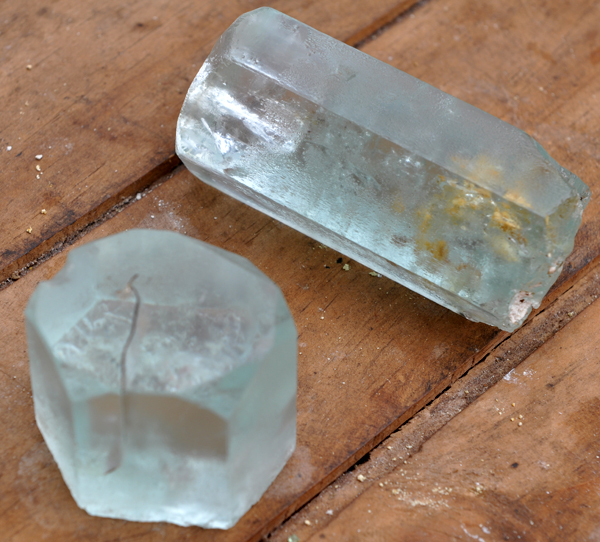 Tourmaline for cutting into slices. Fot. J. Gajowniczek. 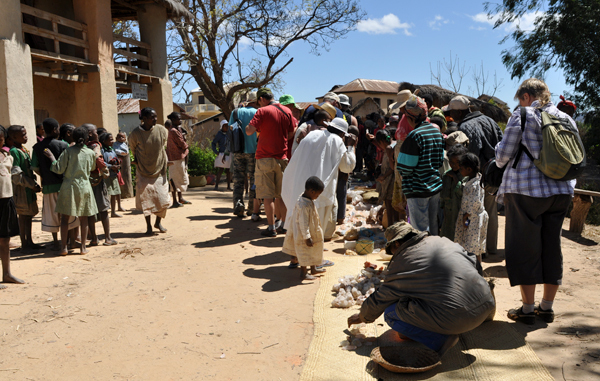 Mineral market in Itremo. Fot. J. Gajowniczek. 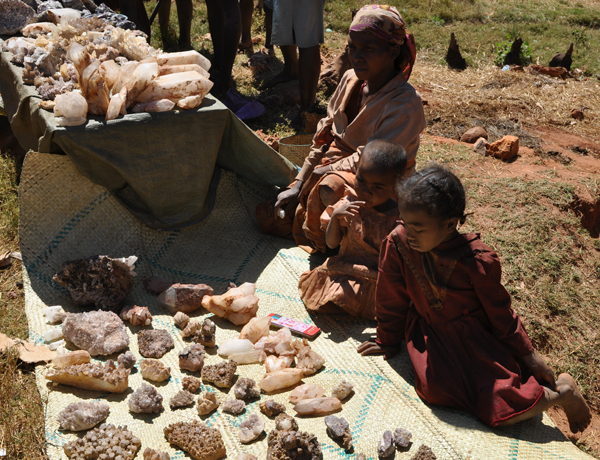 Mineral market in Iazofotsy. Fot. J. Gajowniczek. 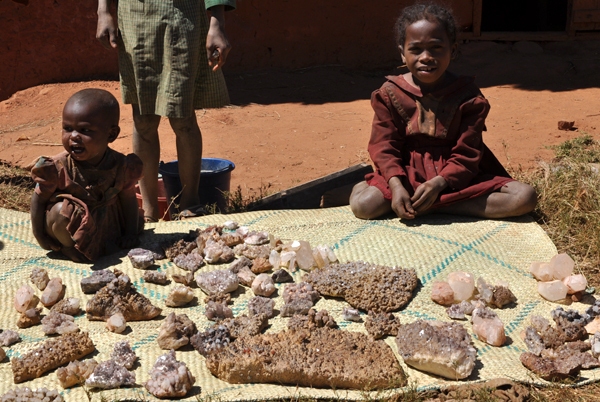 The youngest mineral dealer in Iazofotsy. Fot. J. Gajowniczek. View from the Iremo massive. Fot. J. Gajowniczek. Itremo massive. Fot. J. Gajowniczek. 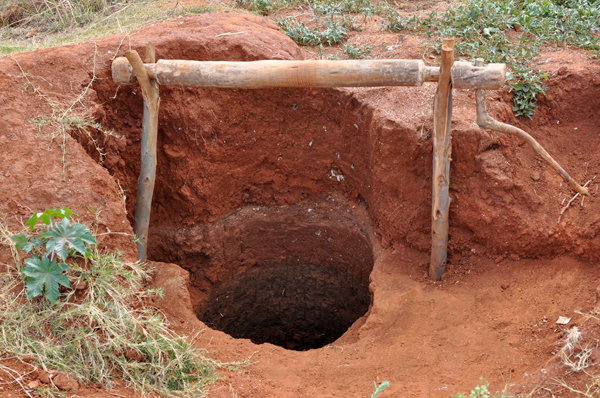 Looking for quartz, Itremo massive. Fot. J. Gajowniczek. Ranomafana Naional Park. Fot. J. Gajowniczek. 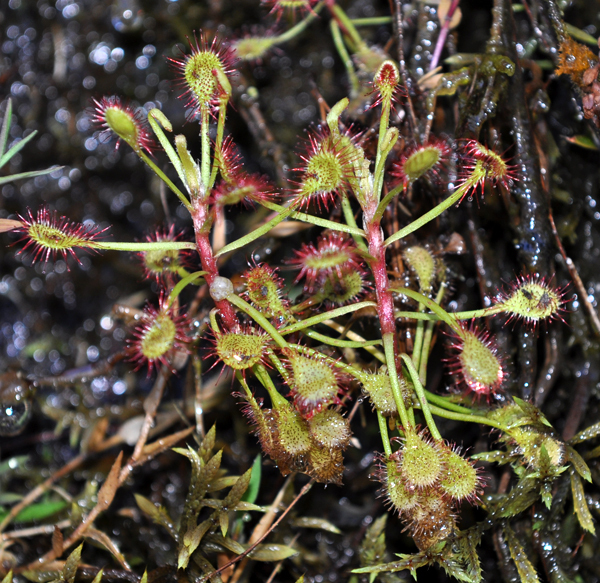 Sundew, Ranomafana Naional Park. Fot. J. Gajowniczek. 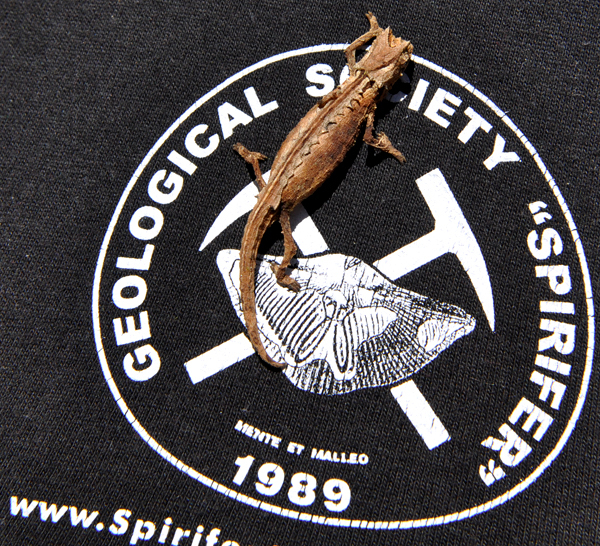 A representative of endemic to Madagascar Brookesia chameleons genus, taht includes the smallest species (lenght of less than 45 mm), on Tomek`s T-Shirt, Ranomafana Naional Park. Fot. J. Gajowniczek. 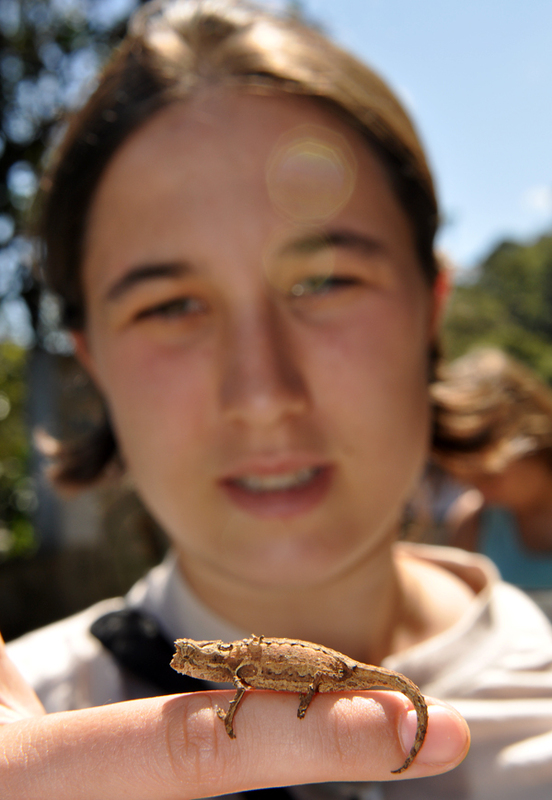 The same Brookesia and me. Fot. T. Praszkier. Buying corundums in Zazafotsy. Fot. J. Gajowniczek. 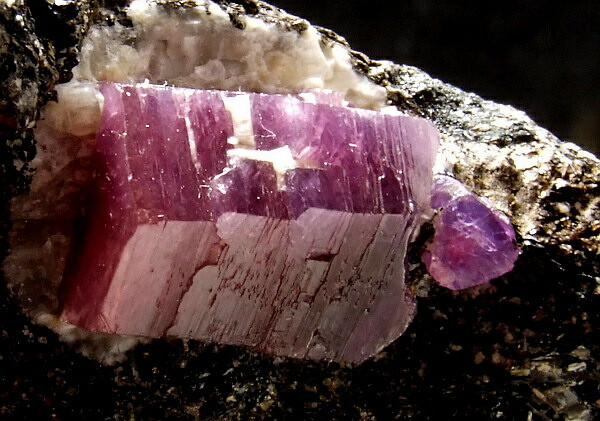 Corundum from Zazafotsy. Fot. J. Gajowniczek. 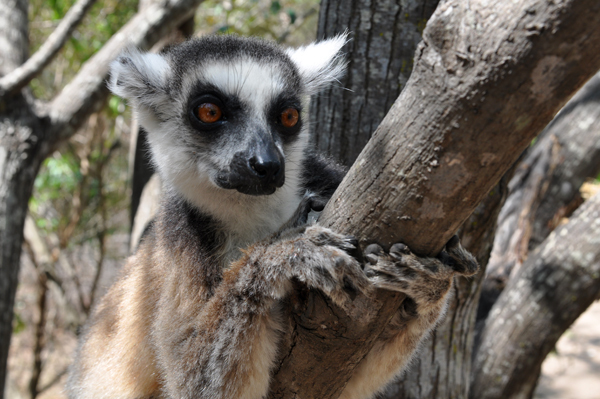 Catta lemur in Isalo National Park. Fot. J. Gajowniczek. 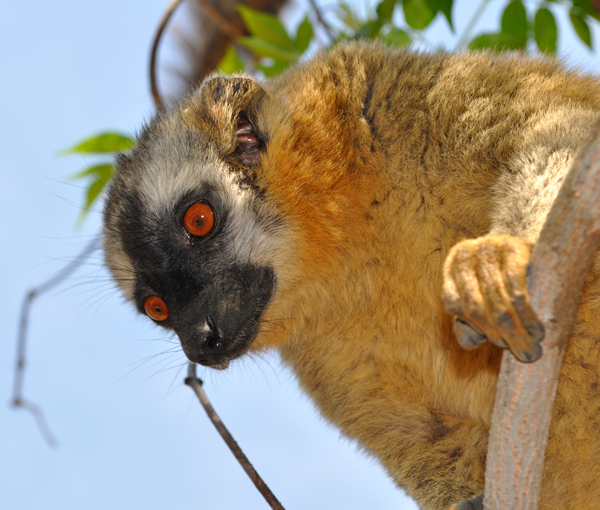 Lemur lying in wait for our sandwitches, Isalo National Park. Fot. J. Gajowniczek. 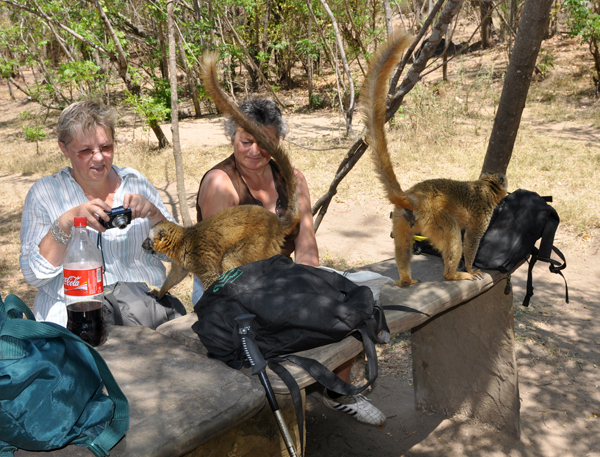 Lemurs stealing our food, Isalo National Park. Fot. J. Gajowniczek. 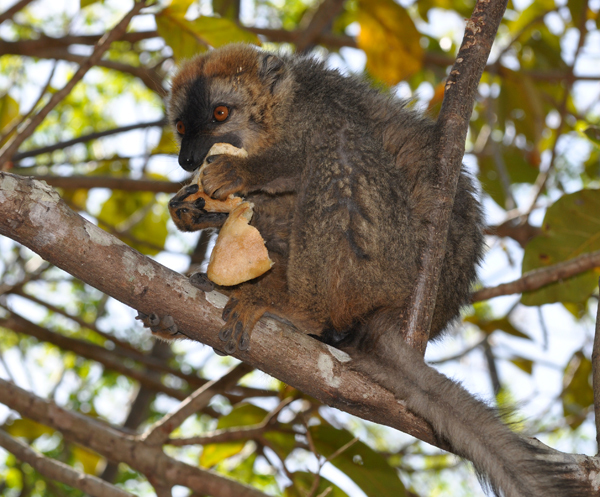 Lemur eating sandwitch stolen from us, Isalo National Park. Fot. J. Gajowniczek. 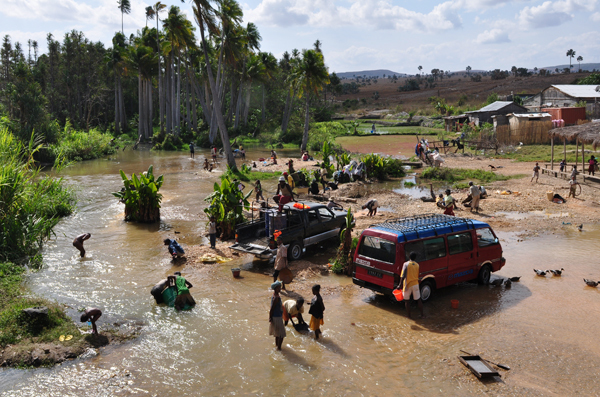 Life in the river - people washing cars, themselves, looking for sapphires, laundering, taking home drinking water, children playing, everything in the same time. Fot. J. Gajowniczek. We had to use pirogues to get to Sarondrano as the road is not driveable. Fot. J. Gajowniczek. As everywhere we were a big event for local people, here they are helping us with the luggage. Sarondrano - the bungalows we lived in . Fot. J. Gajowniczek. Sarondrano Village, with the endemic Euphorbia in the foreground. Fot. J. Gajowniczek. Sarondrano Village. Fot. J. Gajowniczek.